Every act to score a song in an Apple ad was supposed to blow up. But it only happened once. 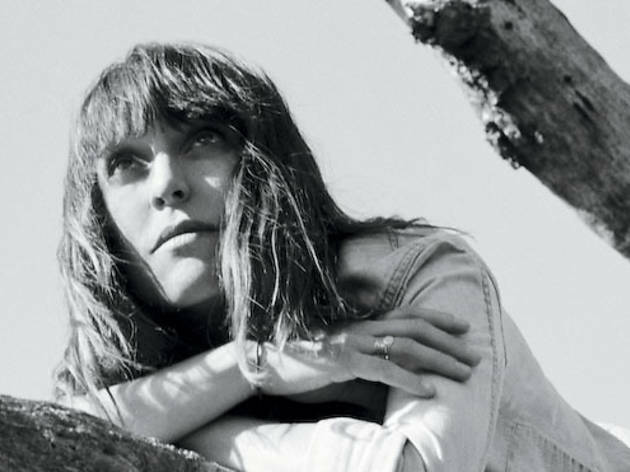 So how did Feist escape the jingle ghetto? It’s supposed to be as easy as counting to four. One, an unknown band records a catchy tune. Two, some blog-scouring advertising guru at TBWA/Chiat/Day slaps the song in an iPhone commercial. Three, Americans hear the earworm 5,000 times over the course of a season of Top Chef: Just Desserts. Four, said band signs to Sony, quits pulling espresso shots and picks up all the erstwhile Kings of Leon groupies. Ta-da, fame. Nobody listens to radio anymore, so this was supposed to be the 21st-century edition of making it big. Only it worked just once. The acts that have sold songs to Apple ads will make for one helluva tough music-trivia category someday. See if these ring a bell: Jet, the Vines, Steriogram, Caesars, the Blue Van; or the Ting Tings, CSS, the Asteroids Galaxy Tour, Prototypes and Chairlift. The music falls into two groups—polished, cosmopolitan garage rock sung by leather-jacketed dudes and whimsical, cosmopolitan synth-pop sung by cute girls. If you played all the tunes by either bunch in a row, you could easily think it was one band. Feist’s “1234” is an outlier. The 2007 hit has banjos, horns, strings and saloon piano. It is spare and folky and sounds as if it were recorded with vintage analog gear, not, well, Apple products. But that is not the reason Feist is the only act on the list to still have a career worth a damn. Apple is arguably a cult, but certainly a brand. Bands are brands, too. In a sense, songs are commercials for musicians. However, Apple is a neutron star brand, a massive marketing entity that co-opts all the cool. When “There Goes My Love” jangled over shots of the new iPad, it wasn’t the Blue Van that seemed cool, or the TBWA agency, but Apple. That jangle inextricably became a jingle. The song would no longer be first associated with some obscure Danish rock & roll quartet. U2 and Eminem didn’t have this problem. Television jingles have a history of being bona fide hits. “I’d Like to Teach the World to Sing” hit No. 1 in the U.K. and No. 7 in America. “Times of Your Life” went to No. 7 as well. It hardly matters that they were recorded by the New Seekers and Paul Anka, respectively; they are That Coke Song and That Kodak Song. The vast majority of people don’t give a damn about artistic pains and credibility. We want catchy songs, no matter who is selling them to us. And Apple has done a brilliant job of curating multiple versions of That Apple Song. Big labels have foolishly pounced on groups that got a break from iAds. Columbia inked the Ting Tings, who have yet to release a follow-up record, and Chairlift, which is about to find that nothing lies at the end of major labels’ rainbow of heightened expectations but a big pot of welcome-back-to-Kanine-Records (see this week's Tracks). Feist was signed to Interscope an album before “1234,” and caused a minor adult contemporary sensation in 2005 with “Mushaboom.” But this is also not the reason Feist escaped Apple-commercial purgatory. That she is part of the adored indie collective Broken Social Scene has little do with it; nor does the fact that “1234” sounds like nothing else she’s recorded—certainly not like the somber, sparse and newly released Metals. Feist beat Apple at its own game. The “1234” video is a brilliant piece of pop cinema that stole the song back. The Canadian chanteuse made a better commercial. 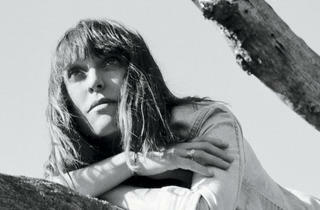 Feist plays a sold-out show at Riviera Theater Friday 4.